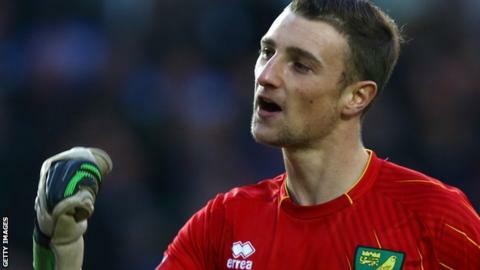 Preston have signed Norwich City goalkeeper Declan Rudd on loan until the end of the season. The 22-year-old has made three appearances for the Canaries this season, including the FA Cup fourth-round defeat by Luton Town on Saturday. Rudd, who is contracted at Carrow Road until 2014, made his debut in 2009 when Norwich were in League One. His arrival follows the departure of Steve Simonsen, who had his contract cancelled earlier this month. Rudd told the club's official website: "I am really happy I have completed my loan move to Preston North End. My target is to play first-team games on a regular basis. "It is a fantastic opportunity to join a big football club and I can't wait to start training and working hard. "Norwich City have recruited another goalkeeper in this window, so it has given me the opportunity to go out and play and experience regular first-team football."